As the foremost expert in explosive C-kite performance, the Fuel has consistently pushed the envelope for both the kite industry and the hard-charging athletes who make it shine. Slingshot has refined the Fuel’s legendary construction and traditional-C design over the years, making this the go-to kite for riders looking for aggressive grunt, unhooked authority, power, boost and insane looping capabilities. In 2016 we’ve continued with the well-received detachable four-point Nitrous bridal system introduced last year. 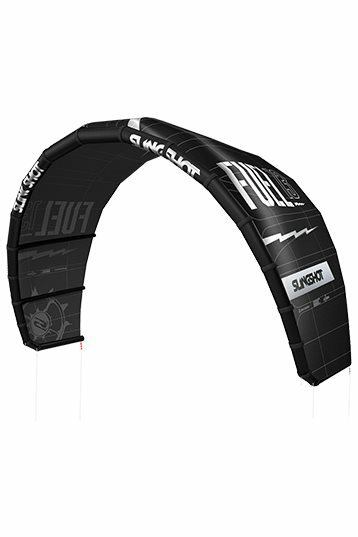 This new addition, along three customization settings - Mega Loop, Freestyle and Freeride - gives riders increased flexibility and freedom in how the kite performs. When installed (the bridal comes factory installed but can be easily removed), the Nitrous system delivers explosive pop, massive hangtime and, most notably, increased range and depower.